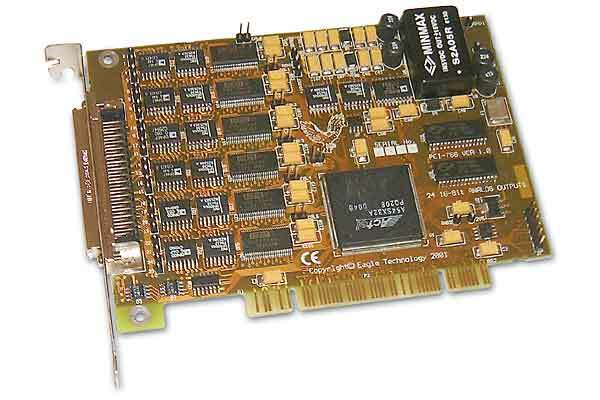 The PCI-766 is an advanced multi-channel analog output board with optimised 8, 16 or 24 channels with full 16-bit resolution. Up to 24 channels of analog output can be streamed at a max speed of 100KHz. The PCI-766 has 2 different operation modes, Fifo and loop mode. Fifo is used to stream data from software to hardware. Loop mode continuously streams data saved in the boards hardware buffer. Other features include 6 digital inputs which can be used as digital inputs or clock and trigger source.